Path of Exile follows a basic story about a series of characters exiled to a cruel and unpleasant island. There are seven playable character classes: Duelist, Marauder, Ranger, Shadow, Templar, Witch and Scion. It was interesting that each character class has their own little storyline to follow and an actual backstory. The only problem with this is that each character class is gender-locked and if you're into any kind of role-playing, it can sort of take away building the character you want because of the class restrictions. For starters, the way obtain and use skills. Skills come as drops/shop items that go into your inventory, which you then 'socket' into your gear to use them, you then 'link' them with other 'support' gems that modify how the 'active' skill works. There are 186 active skill gems in the game and 88 support gems, the skill selection is massive. The story of Path of Exile progresses from Act 1 to Act 10. You revisit many of the same areas as time has passed and you see what liner story actions effects had. Each act has its own quests, town, NPCs and an act boss at the end. Usually new acts are added to the game with every major expansion. Maps (also called end-game maps) are the main type of endgame content in Path of Exile. By placing them in a map device, maps can be consumed to create a randomized instance in which monsters can be fought. The map you choosing to run can be four types: normal, magic, rare, and unique and have their own special affixes. One of the most interesting decisions Grinding Gear Games (GGG) made when designing the core mechanics of Path of Exile was removing the gold. It is almost universally accepted and expected that any RPG has some form of basic currency that everything can be traded for - the proverbial "gold coins". Path of Exile has no currency that is used only for trading - every single item in the game has some intrinsic functionality and value. Thus, there are many items that are considered "currency items" in Path of Exile - each does something different when consumed like orbs. The PoE orbs can used to change a weapon's skill sets, affinity and affixes. Players are able to add the gems to the weapon slots and completely change up the way they behave. Not every orb is compatible with every weapon, so some skills that enable you to perform certain skills such as AOE attacks or critical strikes may or may not fit into certain bows, clubs, knives or swords. This mix and match system forces players to grind out the right kind of orbs for the right kind of weapons and helps keep the game dangling that carrot in front of the player's nose. 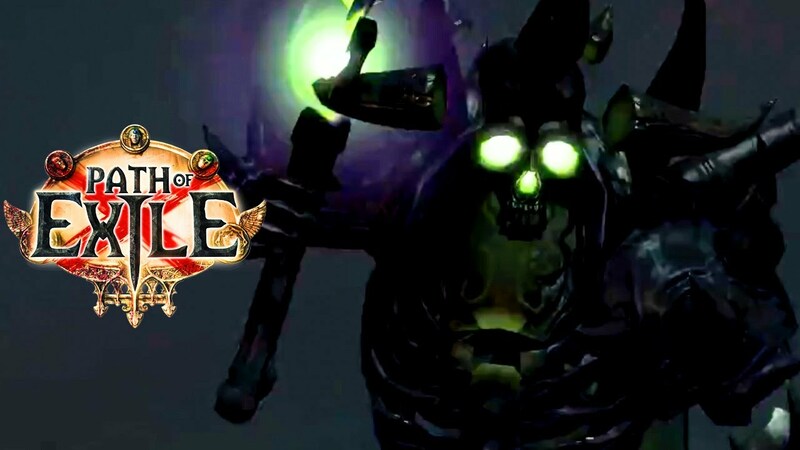 Path of Exile is a free production with Diablo style gameplay. Optional digital payments are present, but - importantly - they mainly concern cosmetics and the stock market. Players can not buy anything that would give them an advantage in combat.